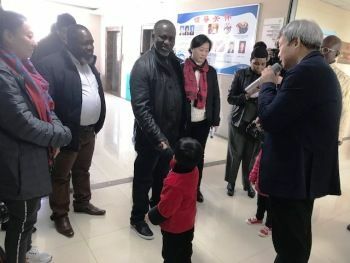 (BEIJING, PEOPLE’S REPUBLIC OF CHINA) Monday, November 26, 2018)The Jingeng Rehabilitation Hospital situated in Ruzhou City, Henan Province has volunteered to provide free medical treatment and rehabilitation to Liberian children suffering from difficult and complicated ailments including peripheral neuropathy, femoral head necrosis, vasculitis, osteomyelitis, lumbar disc, infantile cerebral palsy, amongst others that cannot be treated in the country. Meanwhile, during his stay in China, Minister McGill visited a few other institutions including StarTimes Groupand Huawei – some of the most influential system integrators and technology providers to see how they can partner with government to improve the quality of life of the Liberian people. He also held meetings with several potential investors interested in doing business in Liberia.